Another year has passed. It was one of the busiest year I had but it was good because I also accomplished a lot. Here is the list of some of the things I did during the twelve months of 2012. 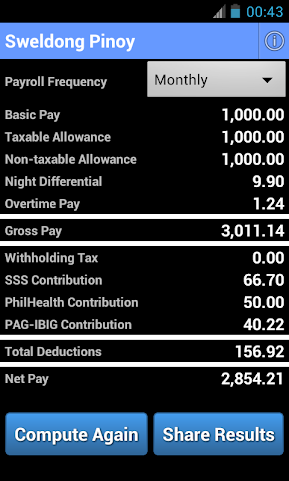 Not much happen during the start of the year except on January 9 when I got my NBI Clearance. I attended the Philippine Android Community meetup for the first time on January 21. On the last day of the year, the GTUG Philippines (now GDG Philippines) show-and-tell meetup for 2012 was held at the O&B office. I presented the Pinoy Jokes Android App which I just published to Android Market (now Google Play) the day before. I continued working on the app and it also reached the following accomplishments: Top Free Apps #15, Top Free Applications #7, Top New Free #5 and Top Free Entertainment #2. On February 6, I attend Mobile Monday Manila (MoMoManila) for the first time. Unfortunately, this was also the only time I was able to attend a MoMoManila meet up in 2012. Celine, her best friend Deci, her college block mates and I went to Gandiva Archery for a few hours of Archery lesson. On February 11, we also went to the 17th Philippine International Hot Air Balloon Fiesta and Zoobic Safari. GDG Philippnes also had the Global Android Dev Camp, a global Android development hackathon, from February 17-19. On the first day of the year, we were invited by the College of Computer Science of University of Makati to be the judge in the Android competition in IT Olympics 2012. It was my first time to judge in a contest. After judging the apps and having lunch, I was also invited to join the Board of Arbiters in the IT Quiz Bee. On March 3, we watched the Pyromusical competition with China and Netherlands at SM Mall of Asia. I also had my first 10k run for the year (Run United 1) on March 4. We also attended the Google Map Maker Manila Workshop at Asian Institute of Management Conference Center last March 17. May was when I started to work at Stratpoint as an Android apps developer. I've been busy with work this month. On May 5, we also went to Cebu to help out with the first Pre-Startup Weekend Bootcamp. June was another busy month at work. On June 17, I had my second 10k run in Run United 2. GDG Philippines also had the I/O Extended viewing party and it was held at Payroll Hero's Dojo. On July, we had the Google Apps Challenge Meetup/Hackathon in Manila (July 6-7). We also went to Bacolod for the Google Apps Challenge Meetup (21-22). 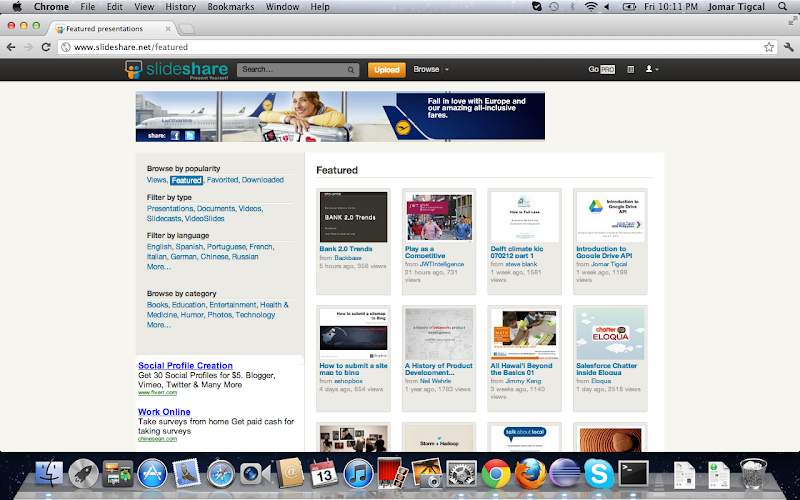 The slides I used in my talk about Google Drive even got featured on Slideshare on July 13! Celine and I also went to Singapore from July 27-30. 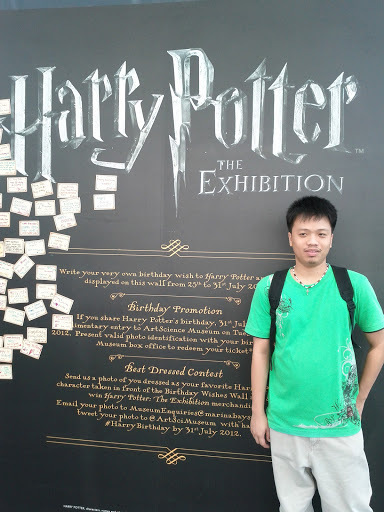 It was my first trip outside the Philippines and we went to the Harry Potter Exhibition. We also visited the Google office, Merlion Park, Sentosa and Universal Studios. We started August with the GDG DevFest Philippines. We also went to Davao for the Google Apps Challenge Meetup. We had our first (complete) family dinner outside home with the girlfriends of my brothers this month. On September we attended (and volunteered) for the Globe Labs Developer Day on September 15. The day after, I had my first run in the rain at the Run United 3 in SM Mall of Asia (again). 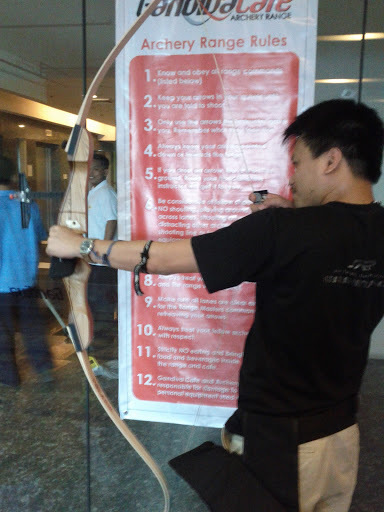 At the end of the month, I volunteered at the next Startup Weekend Manila (28-30). On October 6, we were invited to La Consolacion College Manila and I gave a talk about WHy you should go into Android apps development. Celine presented our Moochfood app in the first GDG Geek Girls Manila meetup. We also went to Mind Museum and Fully Booked in Bonifacio High Street. 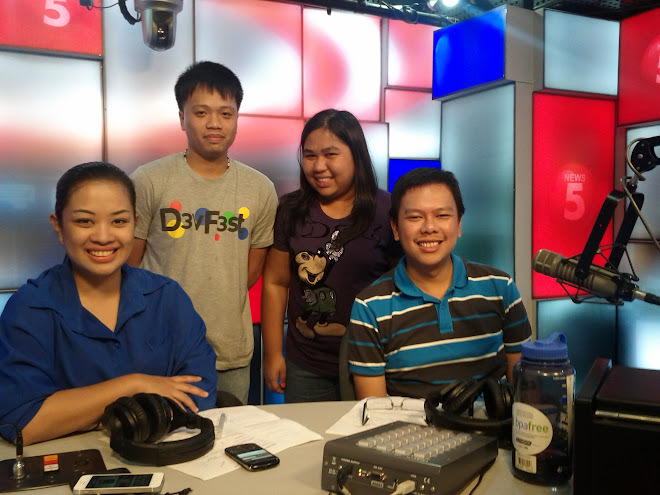 Globe Labs Developer Relations Manager Anne Michelle Santos and I was invited by ANC Alerts for an interview about the upcoming DevFests in Bacolod and Cebu. We started December with the Sanitation Hackathon, in cooperation with GDG Philippines, GBG Philippines, World Bank's Water and Sanitation Program and Blogwatch. Sanitation Hackathon is a social good hackathon that aims to develop open technology for sanitation challenges. We attended a lot of Christmas Parties this month: Globe Labs Thank You Partee, Mashable TweetMas Tweetup, Ideaspace's Faces of Change, and GDG Philippines Christmas Geekup Party. We also were also invited in PUP Google Fest and I talked about the basics of Android and Android apps development. 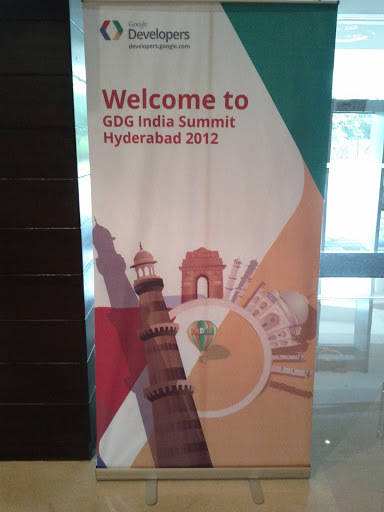 And we also went to India for the GDG India Summit in Hyderabad, India. A lot has indeed happen last 2012! I am looking forward to all the possibilities that 2013 will offer. I'll continue to post on this blog the things that will happen soon.